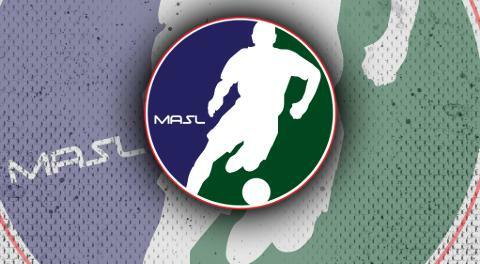 KANSAS CITY (Jan. 29, 2019) –The Major Arena Soccer League (MASL) and their partner, SporTurf, announced the Week Nine Team of the Week today. 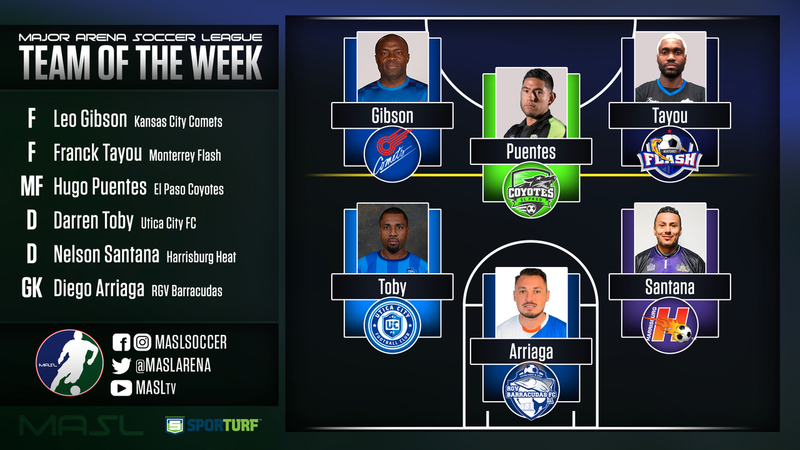 Diego Arriaga (RGV Barracudas) – Arriaga earns his second straight selection to the SporTurf Team of the Week. He helped the Barracudas to two back-to-back wins this weekend, on Sunday night he earned a .867 save percentage and only allowed two goals. Darren Toby (Utica City FC) – Toby took care of business on both ends of the floor this weekend as he helped his team to a weekend split. Defensively he tallied five blocks and then added three goals and an assist to Utica City’s offensive output. Nelson Santana (Harrisburg Heat) – The Harrisburg Heat enjoyed two victories this weekend over their Eastern Conference rivals, Utica City FC and the Baltimore Blast. Santana set the stage with two blocks, plus an assist in Friday night’s win. Then Saturday he took control with a hat trick and two more blocks. Hugo Puentes (El Paso Coyotes) – The Coyotes are looking to turn their fortunes the rest of the season, and Puentes figures to be a big part of that. In Friday’s win the second-year midfielder scored four goals for El Paso and then added an assist. Leo Gibson (Kansas City Comets) – The Kansas City Comets have won five of their past six games, including this weekend’s win over the Mississauga MetroStars. The seemingly ageless Gibson was in the middle of the action throughout the night, scoring two goals and two assists, including the game-winning goal in the final minutes. Franck Tayou (Monterrey Flash) – Tayou came up big in new coach Jaime Borrego’s first win with the Flash. Tayou scored the opening goal of the game for Monterrey, then added two more and two assists to the winning effort.